BJP President Amit Shah had recently said that if NDA allies go with opposition they would be trounced in the elections along with the opposition. 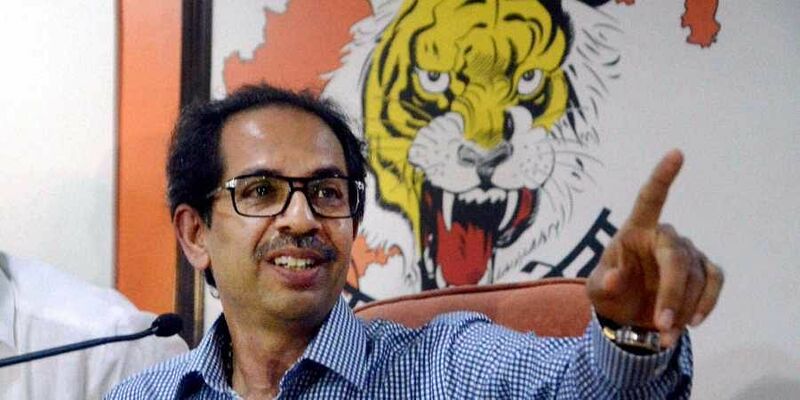 MUMBAI: Shiv Sena president Uddhav Thackeray fired yet another salvo at the BJP on Sunday. "I heard words like 'patak denge' from someone. The one who can trounce Shiv Sena is yet to be born," Thackeray said while addressing a special mega session of Sthaniya Lokadhikar Sanstha, the employee union affiliated to Shiv Sena. It may be noted that BJP President Amit Shah, while deliberating on prospects of BJP-Shiv Sena alliance at a party meeting recently, had said that if allies go with opposition they would be trounced in the elections along with the opposition. Thackeray in public rallies or through his newspaper hadn't replied to Shah, which he did today. "Nobody is bothered about the nation. I am. I'm concerned about how the nation can prosper and hence I show hollowness in the things whenever I see them," Thackeray said. "I would even prefer a tamed government because I want my nation to be strong. Government which is least bothered about its people is only good to be burnt down," he added. He also cautioned his supporters to not to fall prey to any of the gimmicks played ahead of the election. "If people lose faith in you, they would burn you down. But, if you gain faith then you can even win battle at Panipat," Thackeray said while cautioning the ruling party. Thackeray also came down heavily against the BJP over the issue of Ram Temple. While countering the BJP claims that the Congress is delaying the Ram Mandir and that the temple would be built, Thackeray asked, "Just tell us how the Congress is hindering the temple construction. The party could not even get the post of Leader of Opposition in the Lok Sabha. How are they hindering the temple construction?" "Also tell us how the party plans to build the Ram temple when it's allies like Nitish Kumar of the JD(U) and Ram Vilas Paswan of the LJP opposing it," Thackeray said. "We are raising the issue for the cause and not to earn votes out of it like the BJP that had been raising the issue before every election," he added. He also said, "There is no Ram and they are talking of RamRajya. "The forthcoming election is not just important for you and me, but it would decide the fate of India as well as Maharashtra, Thackeray told his party cadres. Thackeray also attacked the government over its recent decision to grant 10 per cent quota for economically backward class. "If people who have less than Rs 8 lakh annual income are eligible for the quota, the government should do away with income tax on that much of income. If Modi does that I should say he has a 256-inch chest," Thackeray quipped.